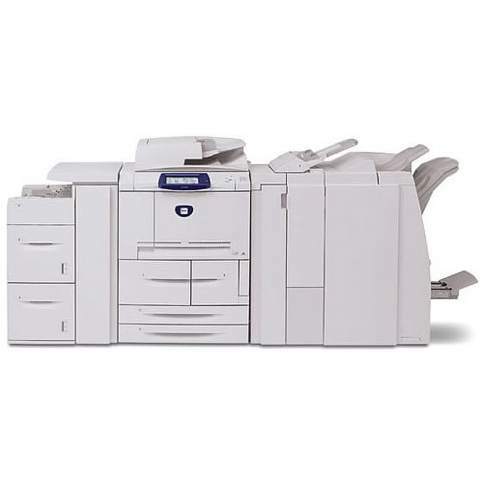 The Xerox 4112 is a robust monochrome laser device with an assortment of built-in functions that will enable users to print original documents, copy jobs, send scans and receive faxes. One feature that makes it suitable for heavy-duty offices is its fast output speeds at a maximum of 110 pages per minute on A5 paper. 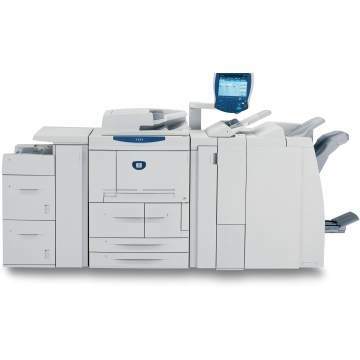 With some of the quickest speeds in its class of large office multifunction printers, long-lasting inexpensive Xerox 4112 printer toner and a generous bundle of features that can enhance productivity, this machine is one of the top picks among comparable machines and is worth its high price tag. The list of projects the 4112 can handle is long, inducing printing booklets, manuals, presentations, renderings of photos in halftone, as well as sending color faxes or scans and copying up to 999 pages from an original document. The device can store multiple job queues to allow users to customize their workflows, while built-in finishing options like a stapler, stacker and booklet-maker enable the device to add a professional touch to jobs when users don't have the time. The machine's wireless ethernet interface connectivity will enable users to print and manage jobs remotely from their computer over a shared network. The flexible front control panel also includes walk-up standalone fax and copy functionality, incorporating an advanced color touchscreen that provides access to shortcuts for popular features, secure printing, and updates on the job status. The 4112 can support a monthly duty cycle between 70,000 and 700,000 pages, which makes it a good fit for large volumes. The unit's flexible media handling also makes it suitable for such workflows, supporting a maximum capacity of 3,050 pages that can be increased to a maximum of 8,250 pages. 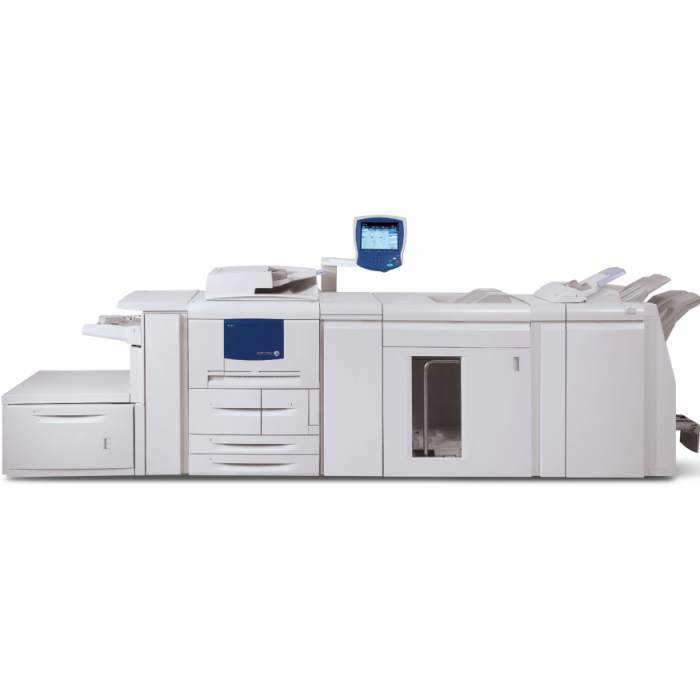 Users can add several additional paper options to enhance productivity such as a 2,000-sheet capacity paper feeder and an automatic duplex unit for double-sided printing and copying. 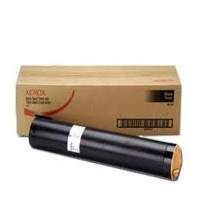 The device operates with one black Xerox 4112 toner cartridge that contributes to a sharp print output with precise detail and a maximum resolution of 2400x2400 dpi. 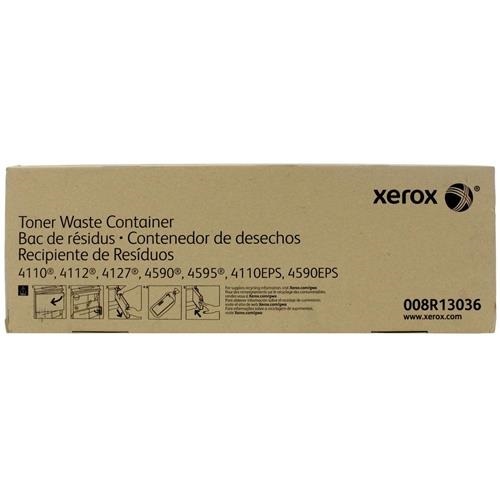 Once users snap the provided starter Xerox 4112 toner cartridge into place, the device should be ready to print and copy documents as soon as it warms up. With high maximum yields of 81,000 pages, this unit's replacement toners will allow it to handle high-volume needs on a regular basis. 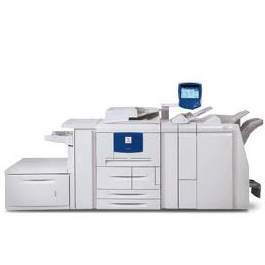 This fast-paced multifunction printer bundles the features large offices will need to not only match their output goals, but increase them if need be. From its high-capacity supplies and quick print speeds to its upgradable paper supply and intuitive touchscreen interface, this monochrome unit is worth its high price tag for offices with high volumes.